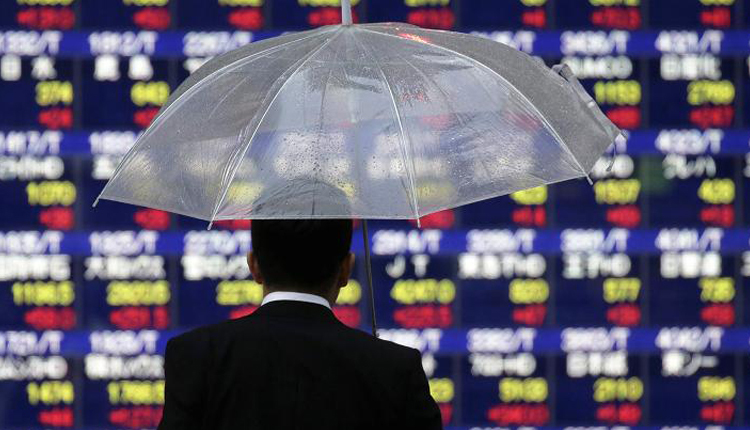 Asian markets were mixed on Friday, with the Chinese stocks slipping even as official trade data came in soaring past expectations. Mainland Chinese shares were lower on the day, with the Shanghai composite dipping just below the flatline to 3,188.63 and the Shenzhen component declining 0.26 percent to 10,132.34. The Shenzhen composite fell 0.106 percent to 1,738.52. Meanwhile, Hong Kong’s Hang Seng index slipped 0.22 percent, as shares of Tencent and AIA fell. Those moves came following the release of official Chinese trade figures for the month of March, with exports and the overall trade surplus coming in much higher than expected. The broader MSCI Asia ex-Japan index was largely flat at 540.19, as of 3:17 p.m. HK/SIN. Other Asian markets that closed before the data release saw gains on the day, with the Nikkei 225 in Japan rose 0.73 percent to 21,870.56, as shares of index heavyweight Fast Retailing soared 7.89 percent. The Topix index dipped slightly to 1,605.40. In South Korea, the Kospi rose 0.41 percent to close at 2,233.45 as shares of industry heavyweight Samsung Electronics advanced 1.30 percent. The ASX 200 in Australia added 0.85 percent to 6,251.30, with almost all sectors advancing. On the U.S.-China trade front, The Wall Street Journal reported Thursday that China agreed to open its cloud-computing sector to foreign companies in an attempt to sweeten a deal with the U.S. The U.S. dollar index, which tracks the greenback against a basket of its peers, was last at 97.027 after touching a high of 97.178 earlier. The Japanese yen traded at 111.83 against the dollar after weakening from highs below 111.0 in the previous session. The Australian dollar changed hands at $0.7126 following an earlier low of $0.7113. Oil prices rose in the afternoon of Asian trading hours, with the international benchmark Brent crude futures adding 0.21 percent to $70.98 per barrel and U.S. crude futures gaining 0.33 percent to $63.79 per barrel.